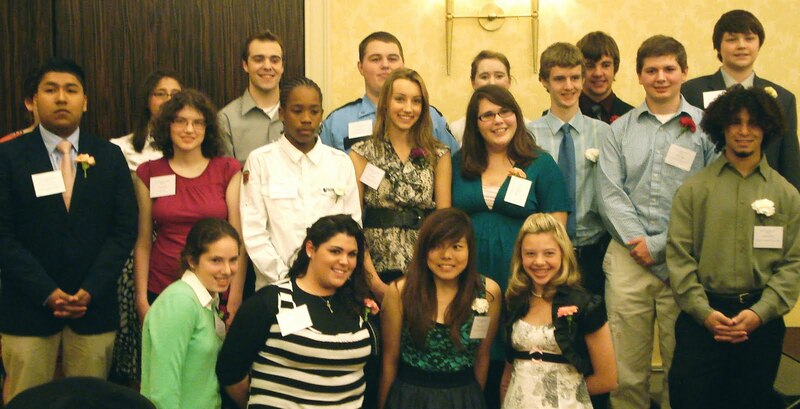 Twenty-two young people were honored on April 27th during St Louis Park’s 21st annual Caring Youth Recognition. One hundred and fifty-five people attended this event to celebrate these young people for their spirit of caring and concern for others. Joan Steffend, Emmy award-winning journalist who worked at KARE 11 and was host of Decorating Cents on HGTV, moderated the program. The 22 young people and the organizations that honored them are: Ben Aastuen – Aldergate United Methodist Church; Molly Anderson – Admission Possible; DeMonte Baker – St. Louis Park High School’s Boys 2 Men program; Cecily Budd – Kids Place Child Care; Benny Burke- St. Louis Park Parks and Recreation Department; Jimmy Carlson – St. Louis Park Police Explorers; William Cramer – Westwood Hills Nature Center; Natalie Duthoy – St. Louis Park Girl Scouts; Miriam Frank – Torah Academy; Dre Johnson – St. Louis Park Junior High School’s Boys 2 Men program; Samuel Jordan – Benilde-St. Margaret’s High School; Ryan Muralt – Westwood Lutheran Church; Chris Nagel – Westwood Hills Nature Center; Laura Priddy – Youth Development Committee; Katie Rawls – St. Louis Park Girl Scouts; Kelsey Reid – Children First; Lauren Richardson – Perspectives Kids Connection; Tenzin Sangmo – Methodist Hospital; Kaitlin Segner – Benilde-St. Margaret’s Junior High School; Gitty Spero – Bais Yaakov High School; David Velasco – West Suburban Teen Clinic; and Emily Villano – Day One Initiative, St. Louis Park High School. Roland and Doris Larson started the Caring Youth Recognition in 1989 as members of Westwood Lutheran Church. They wanted to recognize young people for their spirit of caring and concern for others. Today, representatives from several community organizations plan the Caring Youth Recognition. To date, 410 youth have been recognized through St. Louis Park’s Caring Youth Recognition.